What we can Learn from this Musician’s Social Media Sabbatical. 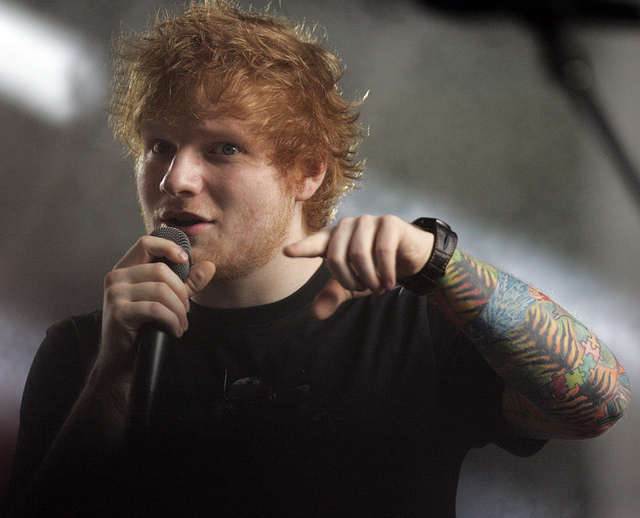 Ed Sheeran has recently returned to the social media fray after an impressive 12 month hiatus. That’s right, 365 days without a phone, email, Facebook, Instagram or Twitter. Let’s stop and contemplate this for a minute. And we’re not talking about someone with a few hundred followers here. Ed’s cumulative fan base across the major social platforms exceeds 40 million people and counting, including over 15.5 million Facebook followers, 7.1 million Instagram followers and over 17.2 million Twitter followers. That’s a pretty huge social network to neglect over such a significant timeframe. So what prompted the British singer-songwriter to take such drastic action some 13 months ago? Whatever the underlying reason, his actions present the rest of us with an ideal opportunity to pause and reflect on the overwhelming impacts of our daily digital interactions. In particular, the effect and impact it has on our mental health and our creative mindset. Given the average smartphone user checks their phone approximately 221 times each day, along with estimates that over 15 million Americans suffer from social anxiety, this could be a topic worth paying attention to. Jessica Stillman writes of the benefits of “absent-minded musing” as contrary to the stifling impact of the over-productive smartphone, using a series of case studies to explore the essential role that musing (or boredom) has on the human brain’s ability to produce fresh ideas and stimulate creativity. She argues that, with a smartphone, our minds are always engaged, always fixed on the screen, so that we “never get bored.” Stillman suggests that our creativity suffers as a result. Brian S. Hall laments on his “endless time spent texting and updating, tweeting and watching, calling and playing at every free moment…never alone with (my) thoughts, never allowing (my) thoughts to drift.” Hall also suggests this type of behaviour can have a dire impact on our creativity, which in turn can limit our full potential. If a celebrity with as high of a profile as Ed Sheeran can take a yearlong break away from his screen, surely us mere mortals can take a little inspiration from him and give it a try every now and then. Even if it’s a few hours of screen-free time, you never know what you might discover—about yourself, about your surroundings, friends, family, even strangers. Don’t we owe it to ourselves to stop and just be? To perhaps even think for ourselves? You can rest assured that no-one will even notice—they are all too busy staring at their own devices! Believe me, I have tried this experiment a few times, and the sea of peoples’ heads is vast and never ending, from the construction worker at the local development site, to the mother walking her baby in the pram, the person driving in the car in front of you, and so on. It takes a great amount of strength and willpower to put down the device and walk away for long periods of time. We can possibly even assume that other high profile celebrities might resonate with Ed Sheeran and that the sheer pace and demands of our digital world is so endless and all-encompassing that it might not matter how much money you have—or how many millions of fans and followers have your back—to ensure a happy and fulfilling life. So how did Sheeran direct his time and energy during his year-long smartphone separation? I’ll let you join the dots! Thank you Ed Sheeran for so publicly sharing your intentions to break away from your screen—you not only talked the talk, you walked the walk and showed us it is possible to take solace from the demands of our digital lifestyle and just be ourselves. 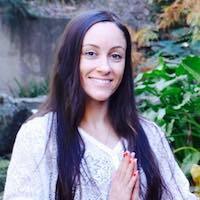 Tehla Bower is an Aussie yogini, writer and mother of two little treasures. She is most at home when she is surrounded by a mountain of books, sipping green tea (or sauvignon blanc—depending on the time of day) and meditating on the big questions in life (her Jack Russell Terrier likes to join her for this). Staying true to herself is her only non-negotiable and she lets the universe take care of the rest. Follow her on Facebook, Instagram and her blog.